The Union Township Fire Department participates in the Vial of Life Program. The Vial of Life is a medication bottle that contains paperwork for each family member. Each family member fills out the paperwork with health information such as medical history, medications and allergies. Once the paperwork is completed, it is placed back in the medication bottle and put on the door just inside the refrigerator. A magnet is then placed on the refrigerator door to notify the fire department that the Vial of Life is present. The Vial of Life ensures that emergency workers have access to your medical history in the event that patients are unable to speak, are unconscious or there are no family members or bystanders that know your health history. 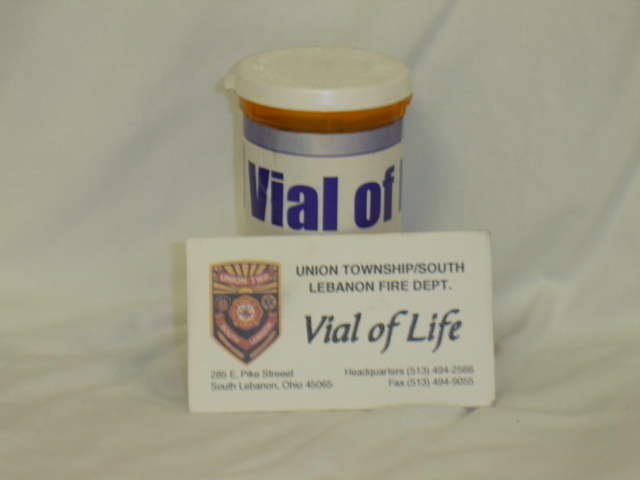 To obtain your Vial of Life, visit the Union Township/South Lebanon Fire Department and speak to a firefighter. 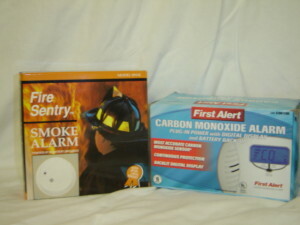 The Union Township Fire Department, in cooperation with the American Red Cross provides smoke and carbon monoxide detectors to the public at no charge. To obtain a smoke or carbon monoxide detector, stop by the fire department and speak to a firefighter. The fire department also offers installation if you wish.